Here at jones we pride ourselves on our great quality curtain poles. We have a vast selection of both metal and wooden poles, with something to suit everyone’s taste and desire. A collection we are particularly proud of is our Handcrafted range, a selection of wooden poles available in a variety of sizes and finishes. We have designed this range to reflect what is seen as a traditional curtain pole; the range is full of unique finial designs and rustic colours to encapsulate the British countryside, wherever you are. A unique aspect of these poles and something that sets them apart from many of our other collections and also many other poles within the industry is that we paint and stain all of these poles here in Nottingham at our in house paint shop. 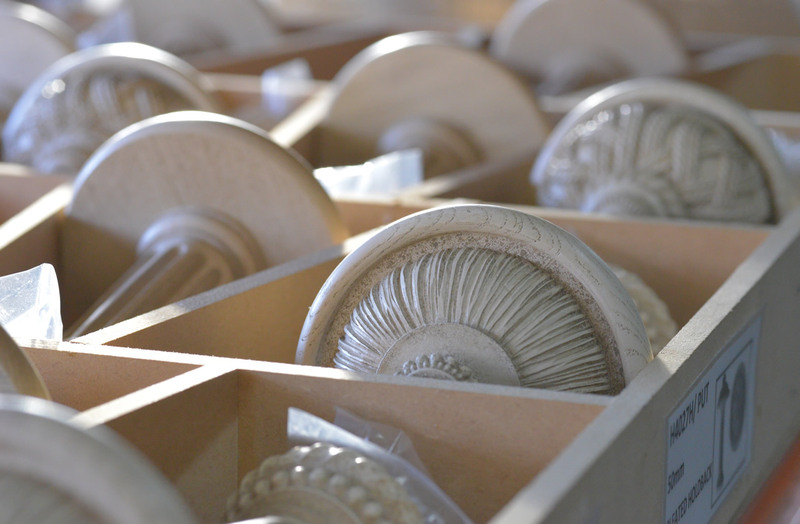 Our extremely talented and experienced team work throughout the year spraying and dying the woods on each and every component, from the poles and finials to the rings and the brackets; it is a completely bespoke service. They work hard to get the tone and colour of each pole set right to ensure we are giving you the product that will make your window display stand out from the rest. 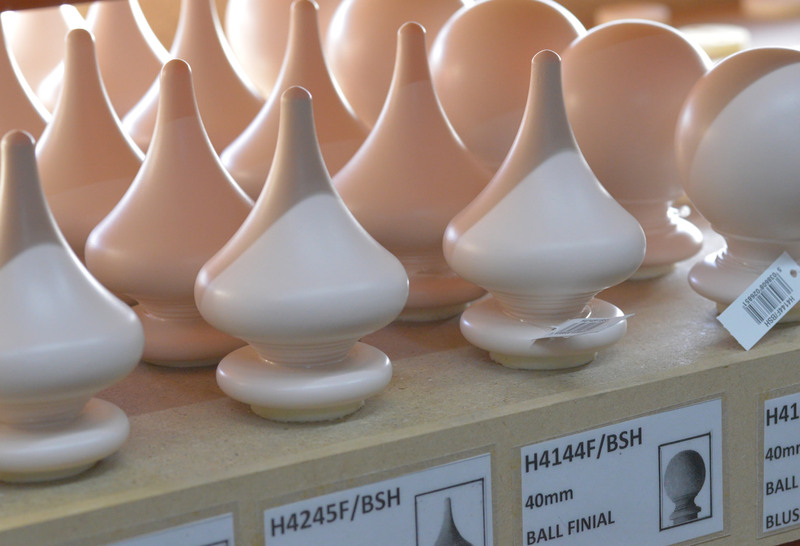 With it being a wooden pole range, apart from a few of the finials, which are made from resin, all components are naturally sourced from trees across Europe, which means they all have their own identity and feel to them. This is something we want to encapsulate throughout this range and we take great measures to keep the woods natural appearance. 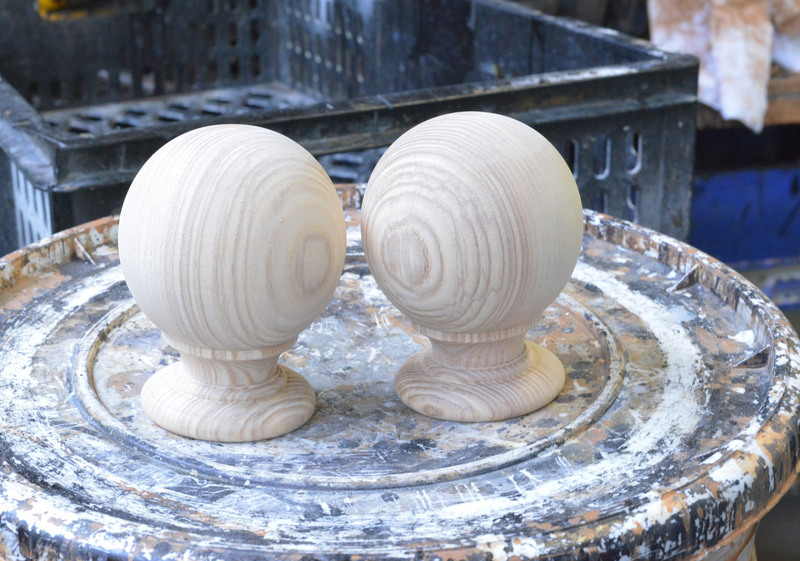 When the products come in to us they are brought in as raw wooden components, then, depending on the colours we are making, we either stain or spray the pole with a specially blended, colour specific paint, always making sure we never lose the natural look and texture of the wood. After they have been sprayed, colours such as Antique Gold and Putty go through what’s called an ageing process, this is where we want to create that rustic look and we do this using a black wax on the poles and a black emulsion on the finials which are then put through a drum which lightly coats the wood giving it that antique, aged look. The finials for this collection are a combination of resin and wood, the more ornate finials are made from a resin mold, but you may notice they still have that graining effect similar to the wooden components, this is because we have designed the resin to imitate the look of the wood. 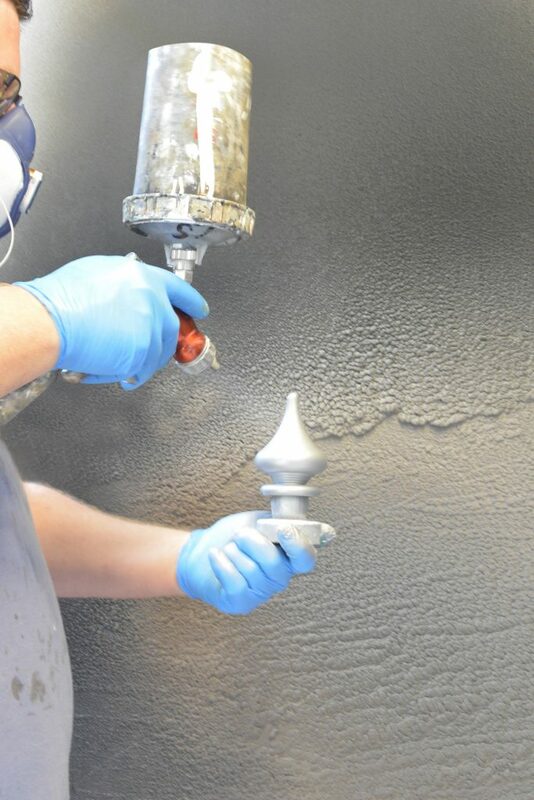 Each component, whether it be something as small as a ring is made up completely by hand, from matching the colour of the paint to spraying it, our paint shop team take an enormous amount of pride in the work that they do, checking and double checking every item to make sure it is to the highest standard before it leaves their workshop. Each range consists of a different sized diameter, starting with Cathedral at 30mm, Hardwick and Seychelles at 40mm, Florentine and Oakham at 50mm and Florentine Grande at 63mm, the pole lengths also different per range, starting at 120cm going up to 300cm. The Seychelles and Oakham ranges are slightly different from the rest as they are available in alternative colours. The Seychelles range is available across 6 different pastel colours, Blush which is a pale pink, Cotton an off white, Haze which is a mossy green, Mist which is a pale blue, Sand is a pale beige and Truffle is a pale brown, these are sprayed with a thicker paint than the rest of the range as they are designed to be a solid pastel Colour. Oakham consists of 8 different variations of wood colourings, Ash, a pale wood, Dove is a light grey, Honey, a warm yellow stained wood, Light Oak and Medium Oak are a stained natural wood, one lighter one slightly darker, Truffle, a natural stained brown, Tusk an off white, and Wenge is a black coating. The rest of our handcrafted range are available across 7 colours, Antique Gold, Champagne Silver, Cotton, Ivory, Oak, Pewter and Putty. Each component in this range are sold separately, so you really can make it your own, we have a choice of different styles brackets, from standard to recess and even metal center brackets, and each range has matching holdbacks that will compliment them perfectly. The Handcrafted collection is all about authentic designs and traditional features. They can enhance a country kitchen, or add a rustic feature to a modern space; this range is extremely diverse with its wide range of colours, sizes and design it really can make a room part of a home.